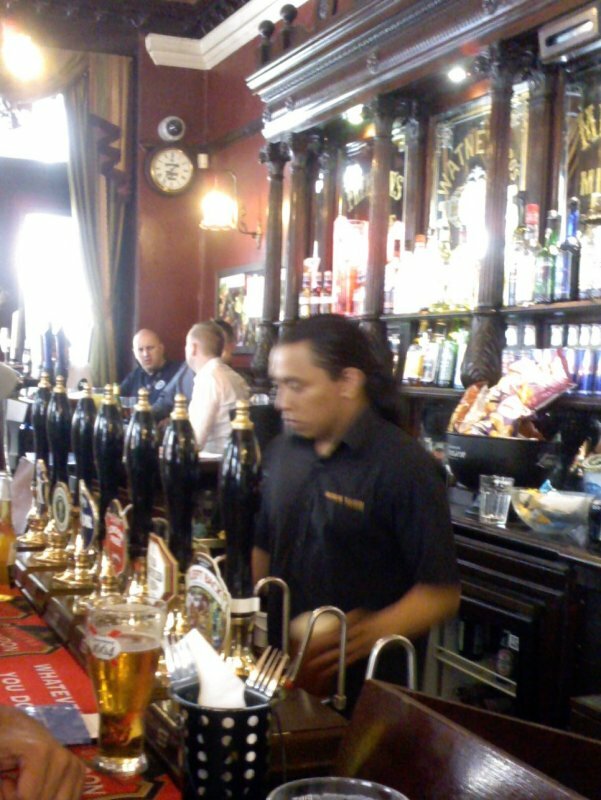 A handy little watering hole once beloved of Karl Marx, sited directly opposite the British Museum and worth stopping in for a quick pint. It's not exactly a beer specialist, though, with the emphasis on fairly mainstream -- though high quality -- English cask ales. A pleasant feature is the Yorkshire leanings of the selection, with beers from Theakston's and Timothy Taylor commonplace. It can get a bit crowded and fraught during the day, but calms down in the evening when the tourists move on and it becomes possible to settle in with a quiet pint or two. 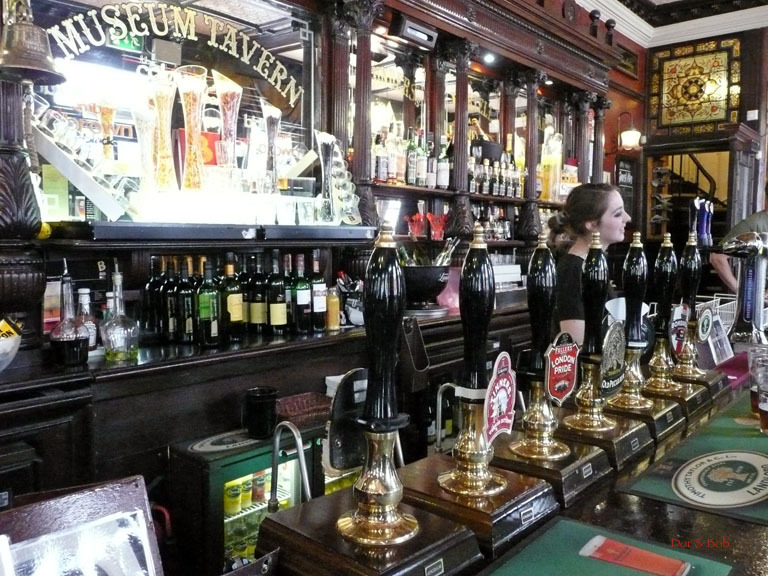 The Museum Tavern has a very fine beer selection of seven real ales. On our visit: Wells Bombardier, Sharpâ€™s Doom Bar, Timothy Taylor Landlord, Wadworth Henryâ€™s Old IPA, Tinners Cornish Bitter, Fullerâ€™s London Pride, and Theakstonâ€™s Old Peculier. 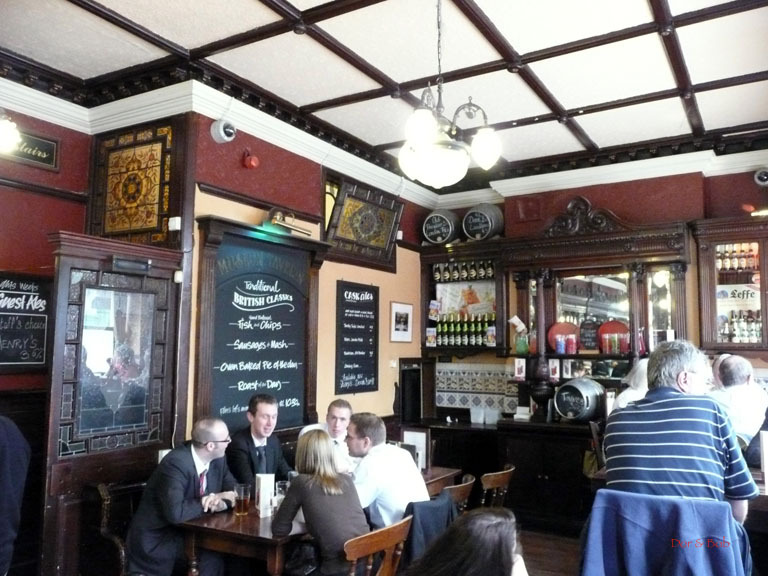 The pub has a very classic Victorian feel and appearance. It is rectangular in shape and fairly narrow but with tall etched glass windows all along two sides so fairly bright. The bar is dark wood with a brass foot rail and stools all along. The bar back is gorgeous. Itâ€™s carved dark wood and historic mirrors with old advertisements. The ceiling and the top part of the walls are covered in embossed fabric and there are two ceiling fans. Tables with settles and chairs fill the rest of the space. 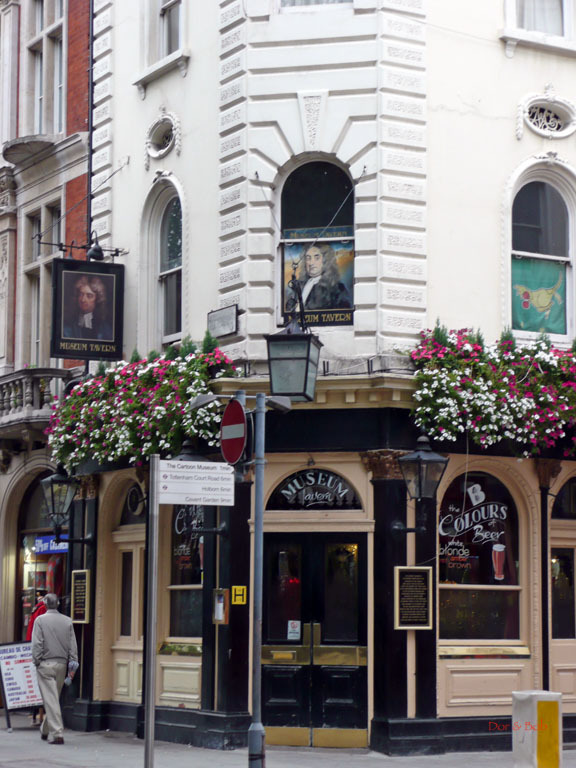 There are a lot of tourists, of course, due to the location directly across from the British Museum, but we still felt a true convivial pub/chatty atmosphere. And this has been true of each time weâ€™ve visited this pub over the last twenty or so years (about five visits).